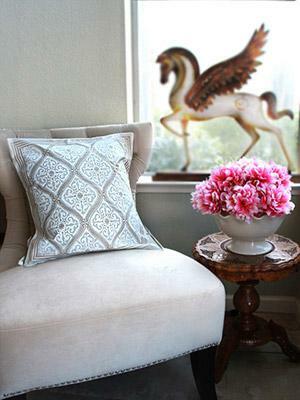 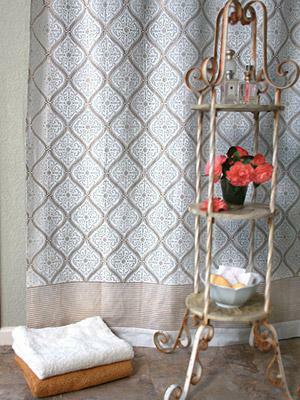 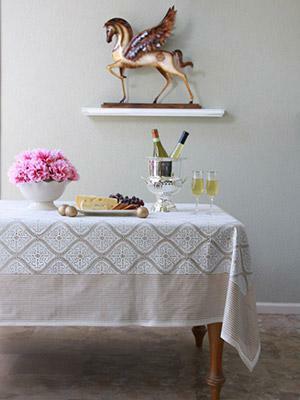 Complete the look when paired with our coordinating Curtain Panel or Kitchen Curtain. 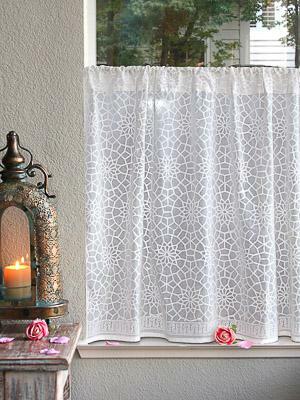 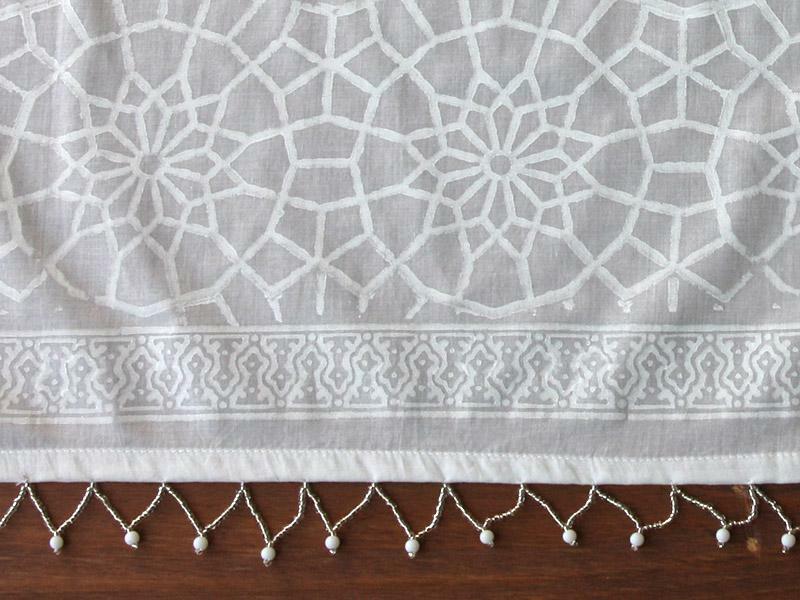 With every sparkle of sun, and every whisper of a breeze, our ethereal beaded valances will sweep you across the seas to the home of their inspiration - the priceless palaces of Marrakesh. 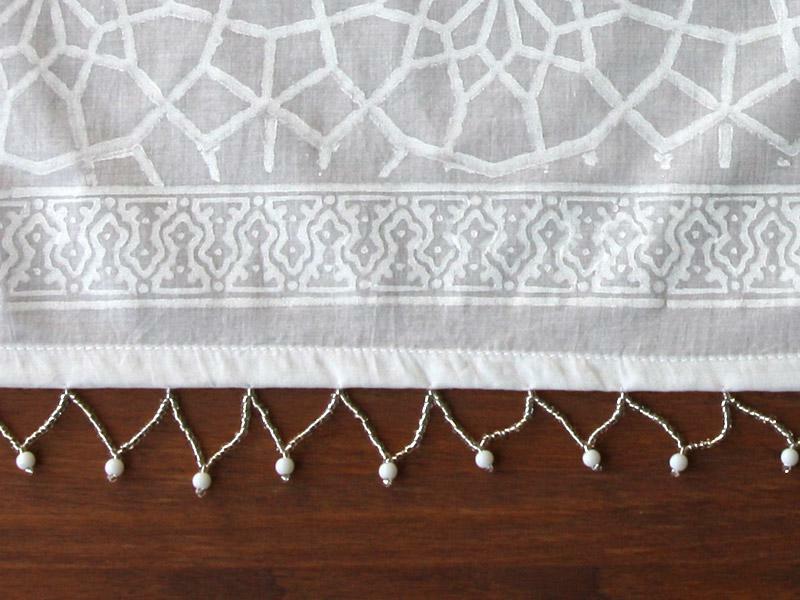 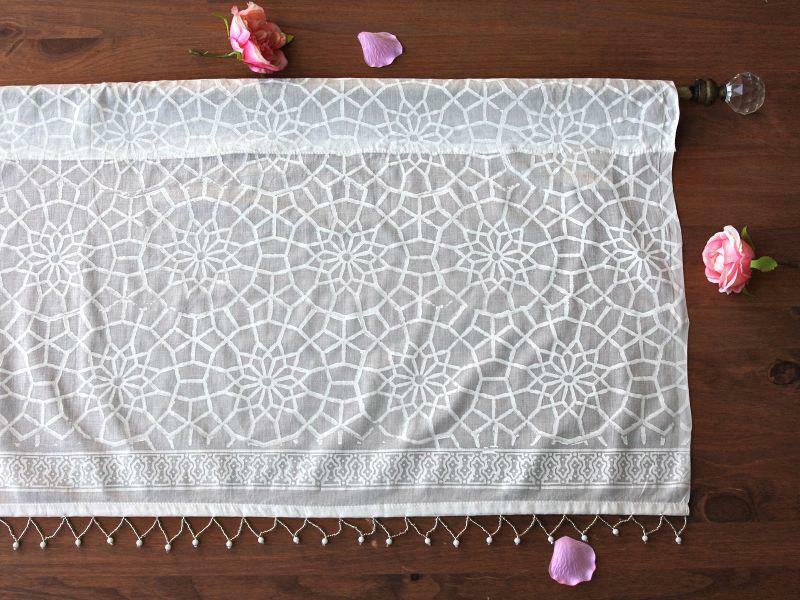 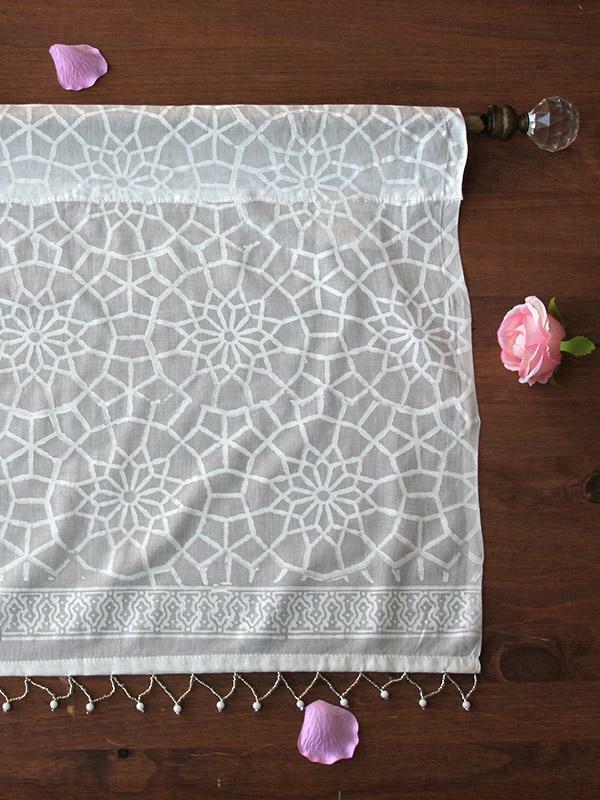 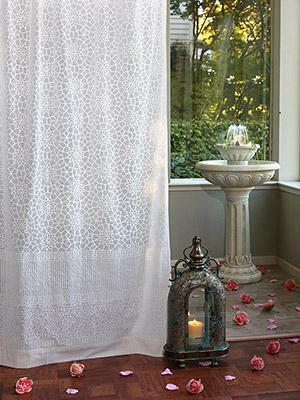 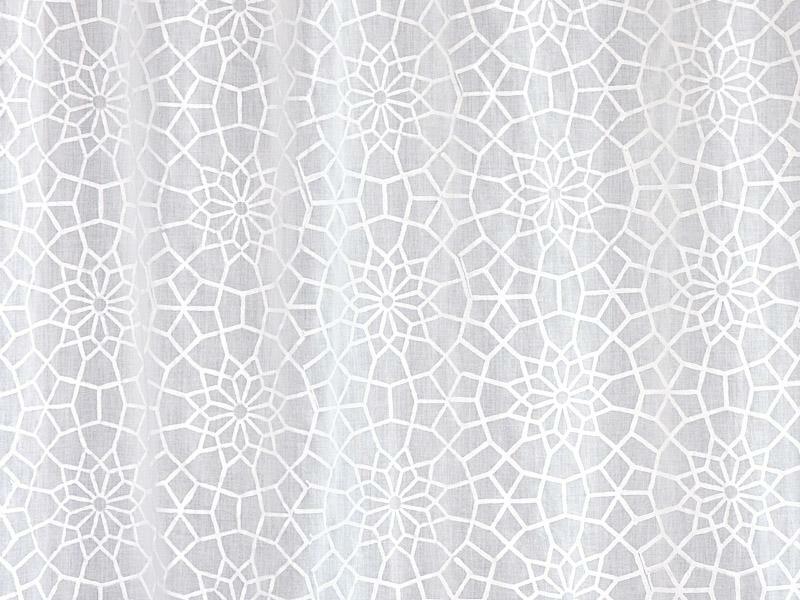 Accessorize this white on white print with gauzy curtains, golden Moroccan lanterns and sparingly placed treasures ... [ read more ] from your global adventures.